There’s been a stranglehold at the top of the Open Women’s division for the better part of a decade. When you look at world championships, the parity since 2012 is better than the Open division, but taking a view from 30,000 feet, the number of women per tournament competing for a title seems to only include three to four players. 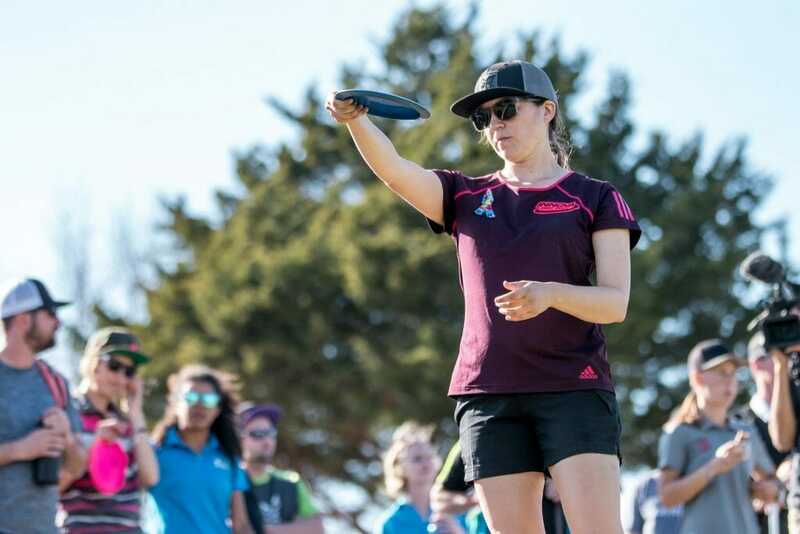 The talent pool is starting to rise with young slingers such as Paige Bjerkaas and Rebecca Cox hitting the road near full-time, yet every week it feels like it comes down to reigning or former world champs like Paige Pierce and Sarah Hokom. As the PDGA Professional World Championship gets underway, it’s again Pierce and Hokom against the field, so here’s another name to consider. Fajkus is a known commodity, she’s been touring consistently for the past couple seasons. It’s easy to forget though how consistently good she is, and getting better still. According to UDisc Live stats, Fajkus has been a better Circle 1 putter than both Pierce and Hokom in 2018. She scrambles better than both women as well — a nice skill to have on the wooded Brewster Ridge course — depending on a number of straight, glidey and more stable putters for consistently accurate approaches. Fajkus is ahead of Hokom and second only to Pierce in National Tour points, seemingly saving her best golf for the major events. And don’t discount Fajkus’ Pro Worlds Mixed Doubles win with Matt Bell from earlier in the week. For the FPO field since 2011, all but one woman who has been a member of a mixed doubles championship team has won a world title in the same time period. The woman who has not won a singles world title, Ragna Bygde Lewis, finished third at that year’s Pro Worlds. Hokom is the only world champ over the span to not have won a mixed doubles crown; she has never competed in the event. And if you’re not convinced yet, marinate on this. Fajkus has finished better year-over-year in every Pro Worlds she’s participated. In 2017, she made the podium behind Pierce and Valarie Jenkins. Fajkus has since risen almost 20 player rating points. One of those women from 2017 isn’t competing, and there are only two more spots for Fajkus to move up to. Comments on "2018 Pro Worlds Preview: The Case For Fajkus"